In this detailed book David W. Lange offers a definitive history of the United States Mint's Proof sets. 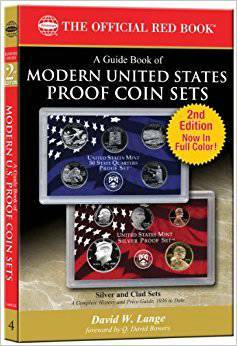 They are all here, from the vintage years of 1936 to 1942, through the classic years of 1950 to 1964, the Special Mint Sets of 1965 to 1967, modern sets of 1968, and the 50 State Quarters Proof Sets starting in 1999. Completely Illustrated with full-color and black-and-white photographs. 200 pages.